Mattias Polborn’s research interests lie in political economy, specifically in the formal and empirical analysis of American Politics. He is particularly interested in understanding candidate competition in elections and political polarization. 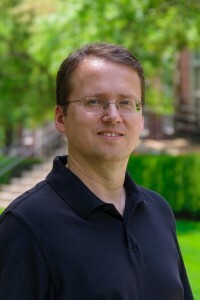 His research has been published in some of the leading journals in both economics and political science (including the American Economic Review, American Political Science Review, American Journal of Political Science, Quarterly Journal of Economics, Review of Economic Studies, Journal of Economic Theory, Journal of Public Economics and the Journal of Politics). A native of Germany, Polborn graduated in 1998 with a Ph.D. from the University of Munich and has been on faculty at the University of Western Ontario and at the University of Illinois at Urbana-Champaign. He joined Vanderbilt University in 2016.